The term “upset stomach” is used to describe a certain cluster of symptoms related to problems found in the intestine and stomach. This health problem can cause the digestive system to become very sensitive so it is important to take care when selecting the right food for an upset stomach. In most cases there are simply home remedies which can eliminate the symptoms, among which foods for upset stomach is a very important part. One of the best ways to treat the symptoms associated with an upset stomach is to simply maintain a healthy diet in which you take extra care to eat the correct food. That is because selecting healthy foods will allow your digestive system to recover more quickly. Doctors commonly recommend what is called the BRAT diet for patients suffering from an upset stomach. This diet involves: B-bananas, R-rice, A-applesauce and T-toast. Most people see effective results when following this diet. It should also include fresh vegetables and fruits, edibles with low amounts of cholesterol and fat, food with dietary fiber and lots of water. It is best to have food that is bland, easily digestible and light. It is also important to be careful with what you drink. 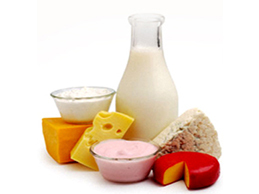 Here are some of the ideal foods to eat when you have an upset stomach. 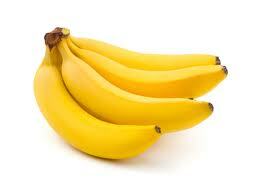 Bananas are found in the BRAT diet because they are simple to digest. They allow you to feel full without much work by the digestive system. They will also provide nutrients which can help you stay strong even when sick. This means that bananas can even help eliminate the waste of bad foods from your system. Be careful to only eat bananas if the upset stomach is not joined by vomiting. 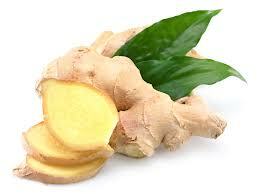 In addition to alleviating nausea, ginger also has carminative properties which allow it to relieve gas and bloating. It can help with cramps and digestion and help treat diarrhea as well. Because it contains high levels of antioxidants, it is also able to help the body’s overall health. Ginger can be ingested many ways: raw, with food, in chews or in ginger tea. To improve digestion, you should have a piece after each meal. 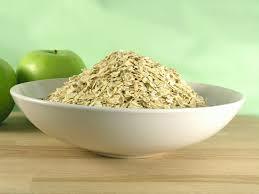 When you have an upset stomach it is important to eat bland foods and that is why oatmeal is a great option. Because oats contain a great deal of dietary fibers, they are able to help ease your symptoms while improving your stomach’s condition. It also contains a good amount of carbohydrates to help keep your energy levels up. Because it has low levels of cholesterol, it is a very healthy option for your stomach. 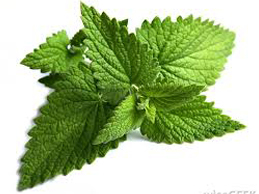 Another great food for upset stomachs is peppermint. That is because it can sooth the digestive tract which provides relief from the symptoms very quickly. It can give very effective results when consumed in tea or oil. 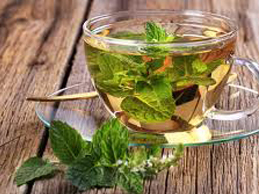 Like ginger, peppermint is also a great way to help reduce cramps, gas and nausea without the risk of side effects. Because upset stomachs can make your digestive system very weak, it is important to eat light food that is easy to digest. 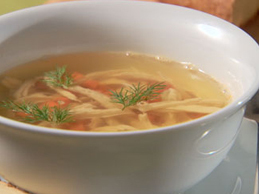 Because chicken broth is easily digestible it is a great option for upset stomachs. In addition to being light, it is nutritious as well and can help reduce diarrhea and nausea. If you prefer, you could try vegetable broth instead as it is equally nutritious. Papayas contain the enzymes papain and chymopapain, both of which can help promote the necessary healthy acidic environment within your stomach while breaking down proteins. 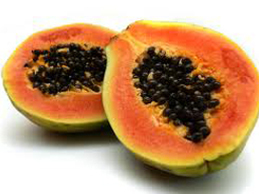 In addition, papayas are great at soothing the stomach as they can aid with digestion and decrease irritation. For the best results, eat your papaya before anything else first thing in the morning. 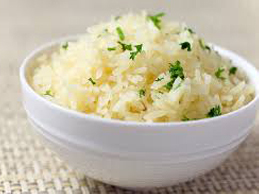 Rice is great because it is filling but still gentle on your digestive system. That is why it is recommended as one of the foods in the BRAT diet. Rice absorbs acids and gases in the stomach and solidifies stools, ending diarrhea and an upset stomach. If your stomach is upset it is best to eat it plain although adding vegetable or chicken stock (or yogurt) for flavor will be fine. Crackers are a great light snack when you have an upset stomach. That is because they are quick and delicious. Ideal ones ware plain or salted crackers or soda crackers. That is because they can be digested easily and stop you from gurgling. 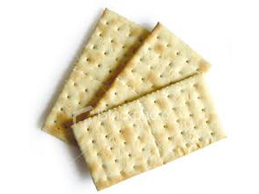 Crackers also help absorb your stomach acids, leading to settling it. Most dairy products are hard to digest but yogurt can be an exception. That is because probiotics such as yogurt can help relax and soothe an irritated belly. These foods will also provide beneficial bacteria. They can also help with diarrhea (including that caused by antibiotics) and help cool the stomach. 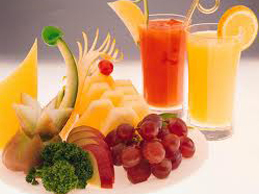 Fresh juices are a great way to replenish your body’s lost fluids. 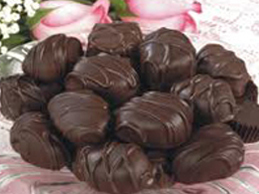 They are easy to digest and light while still being energizing enough to keep you active. Be sure to avoid juices that contain citric acid, however. Pineapple juice can help with digestion and for the best results try having some after each meal. 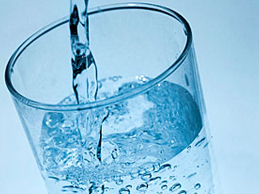 If you have an upset tummy, it is important to drink a great deal of water (two to three liters each day). That is because water can dissolve acid and eliminate waste from your system. That means that it can even flush out bad foods that may have caused your upset stomach. Water also helps you make up for lost fluids from diarrhea and vomiting. Herbal tea is a great way to refresh and smooth an upset stomach. Both peppermint and chamomile are great options as peppermint can reduce colon pain and chamomile will eliminate the upset stomach. In addition, warm tea that contains either ingredient can do wonders for an upset stomach. Dark chocolate is a great way to make your bowels move faster. Most people do not refuse chocolate even when they feel nauseous and research shows dark chocolate can help reduce stomach cramps that are caused by bacteria or food poisoning. You can also try mixing hot milk and dark chocolate powder for a great home remedy for stomach aches.